A streetcar and truck in Minamitenma-cho, Kyobashi, Tokyo. 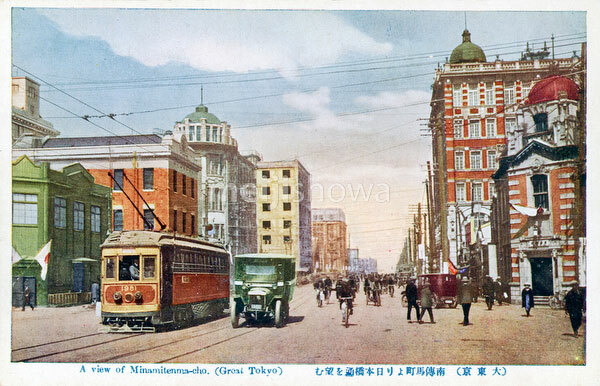 The large building on the right is the Dai-ichi Mutual Life Insurance Company Building (第一相互館), opened in 1921 (Taisho 10). Also see 70126-0006 – Kyobashi.